Located about 20 miles from Marseille, a visit to Aix en Provence is a popular excursion during cruise ship port calls in Marseille. Similarly, it is often featured as an excursion during port calls in Toulon. 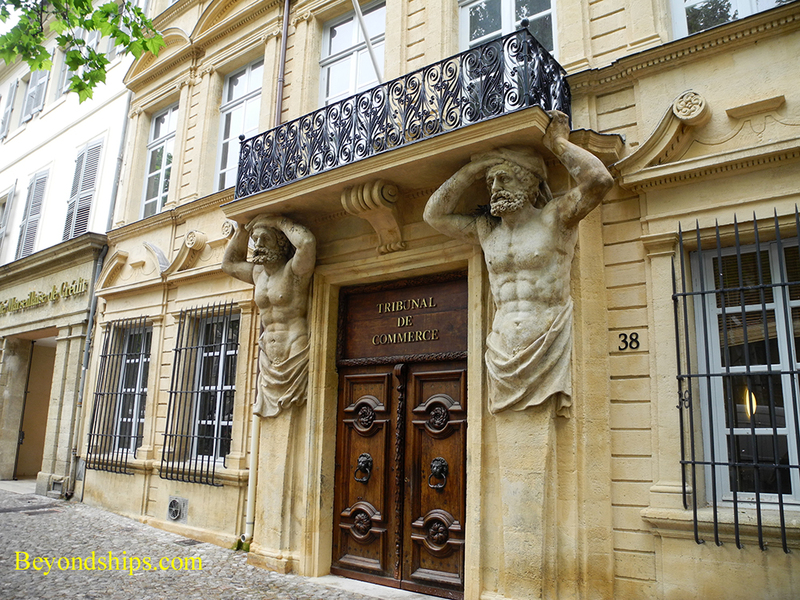 Aix is not a city like Rome or London where there are a number of world famous must-see attractions. Nor is it like Pisa or Granada where one major attraction outshines everything else and is the magnet for visitors. 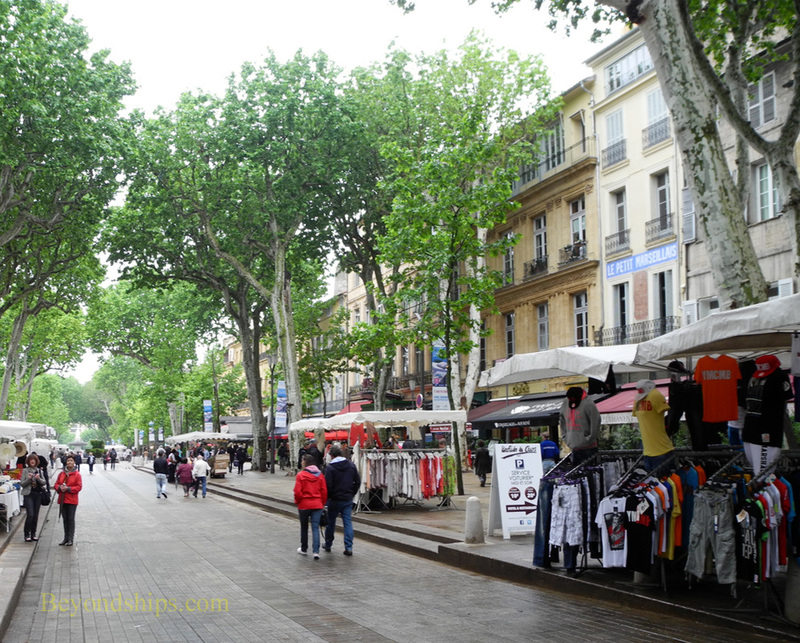 While there are many things to see in Aix, the real attraction is the atmosphere. Many things come together to make it a memorable experience but it is all of these things taken together and not any one element that makes Aix attractive. Founded by the Roman general Caius Sextius, the name Aix derives from the Latin word aquae, which means water. And what initially attracted the Romans was the area's thermal springs. 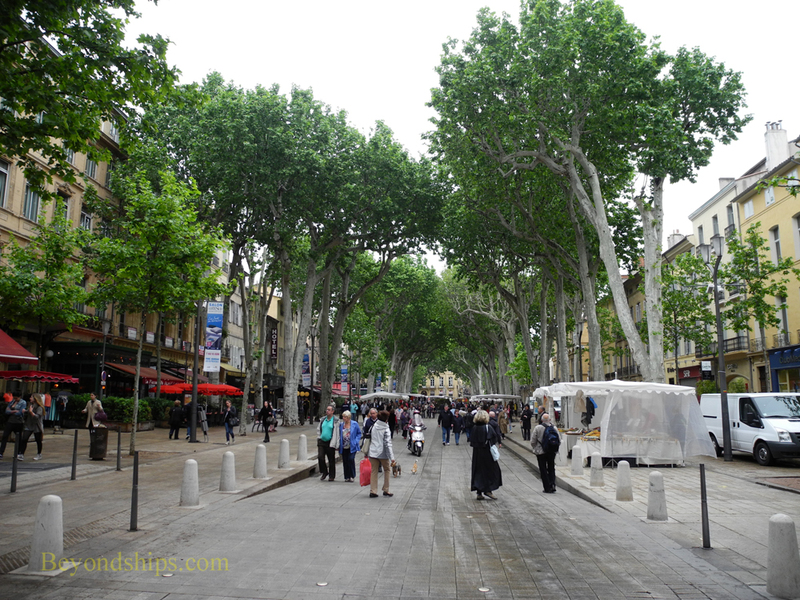 Although Aix seems quintessentially French, it only became part of France in 1487. Before that it was the capital of Provence. It is not possible to see everything on a day trip to Aix. Therefore, in this article, we will present a sampling in order to give a feel for Aix. Above: Aix's most famous son is the artist Paul Cezanne who was born in Aix in 1839, grew up in Aix and returned often throughout his life. His studio and his father's house on the outskirts of the city are open to visitors. Within the city center there are many places with associations to Cezanne. 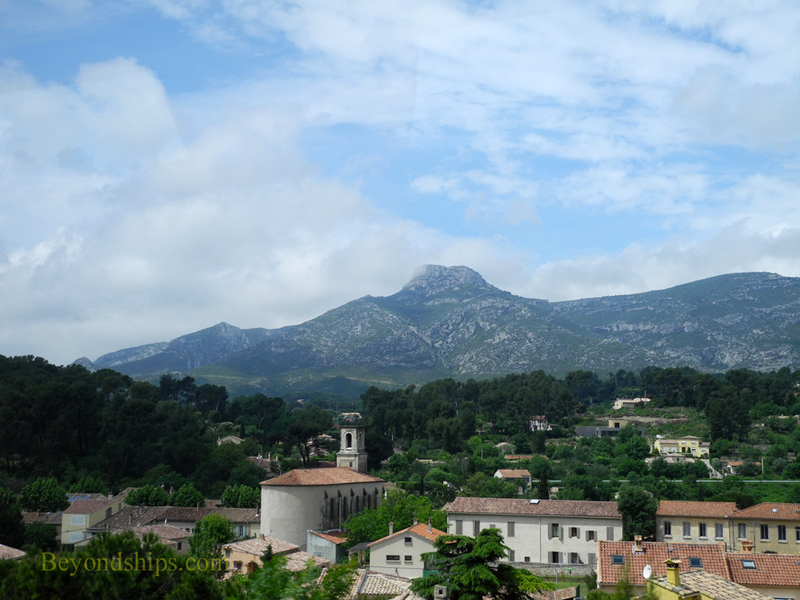 ​Below: Cezzane often used the mountains around Aix as subjects. The Cours Mirabeau is Aix's central boulevard. It divides the city center into the Old Town or Vieille Ville (north of the Cours) and the New Town or Mazarin Quarter (south of the Cours). However, Cours Mirabeau is not merely a dividing line. It captures the spirit and romance of Aix. A wide , tree-lined boulevard with its cafes, restaurants, fountains, mansions and shop stalls, it presents an atmosphere that is almost sterotypically French. If you were looking for a place to film a movie that the world would recognize as French, Cours Mirabeau would be the place. This street only dates from the 17th century. Before that, the land on which the Cours Mirabeau sits supported the city's ancient ramparts. However, when the Mazarin Quarter was built south of the ramparts, the rich and powerful residents of that area demanded a boulevard for their carriages and pedestrian strolls. As a result, the ramparts were torn down and the street created. At first, it was just for the nobles but over time it became a place for all. Cours Mirabeau is 442 meters long by 42 meters wide. A double line of plane trees shades the street. Underneath you find market stalls. On the south side of the street are classical mansions now converted into businesses and banks. On the north side are shops and sidewalk cafes. The most famous of these cafes is Deux Garcons where Cezanne, Zola, Camus, Sarte and Picasso all came to relax. Above: Open air shopping stalls on the Cours Mirabeau. Below: The opulent mansions on the south side of the street now house businesses.